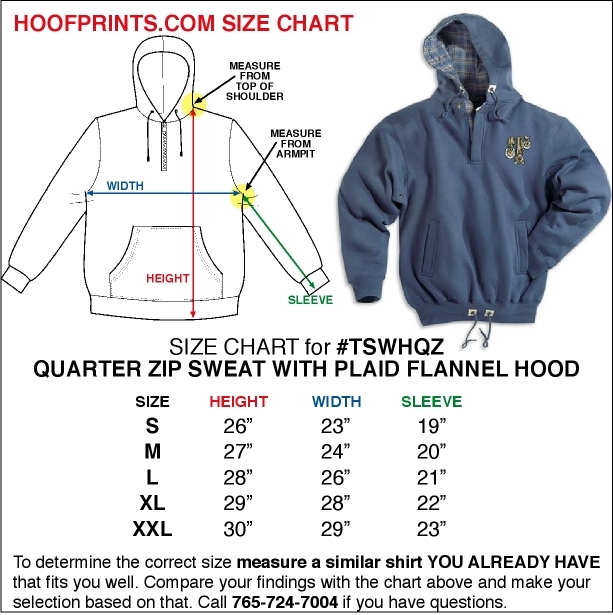 Mountain Blue Quarter Zip Sweat w/Plaid Flannel Lined Hood is made of super heavyweight 12.5 oz. 80% cotton/20% polyester hooded pullover fashion fleece with zipper placket and one-button closure. Features two side seam pockets and woven plaid trim on inside hood and inner placket. 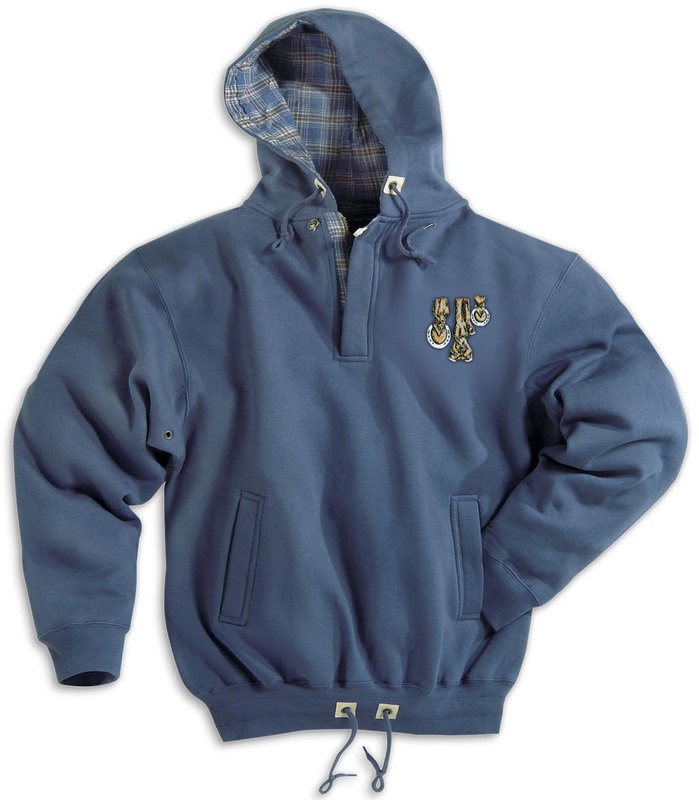 Embroidered with HoofPrints own intricate Horse Legs logo, in colors that coordinate with the plaid flannel trim. Generously sized, expect minor shrinkage. Machine wash and dry.